Who Should Be “Allowed” to Hike? I am passionate about backpacking. I feel fully alive when I’m living in the woods. My daughter feels the same. Beyond simple pleasures, however, hiking is a key therapy to manage her anxiety and mental illness challenges. Nature brings her peace. So we return to the woods again and again, no matter who questions the risks or suggests we should pursue “safer” activities for her. We continue to backpack because of her disabilities, not in spite of them. There are many of us who love outdoor activities and love someone with disabilities. Because we understand both worlds, we must be the ones who speak up. We need to stand beside those who might be discriminated against. Anyone who dreams of taking a walk in the woods should be encouraged. Outdoor adventures should be available for everyone. I am passionate about backpacking. I have also become an advocate. Advocate: 1. a person who speaks or writes in support or defense of a person, cause, etc. 2. a person who pleads for or in behalf of another; intercessor. Synonyms: champion, proponent, backer. When a hike is successful, everyone celebrates the courage and perseverance of the blind thru-hiker or the one with artificial legs. But what happens when things go wrong? Do tragedies or close-calls “prove” that the nay-sayers are right? How does the outdoor adventure community find an appropriate balance between personal freedom and personal responsibility for participants? 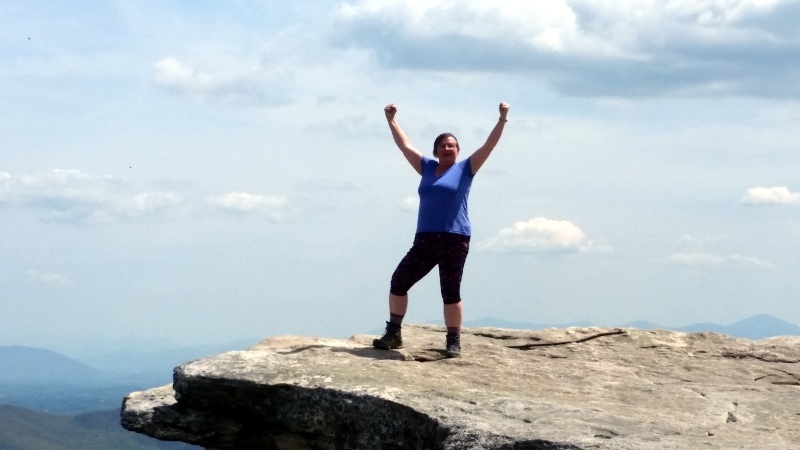 This year alone, a variety of incidents along the Appalachian Trail have provoked strong opinions and arguments among hikers in online forums. An older man with Alzheimer’s got confused and was lost for a few days. 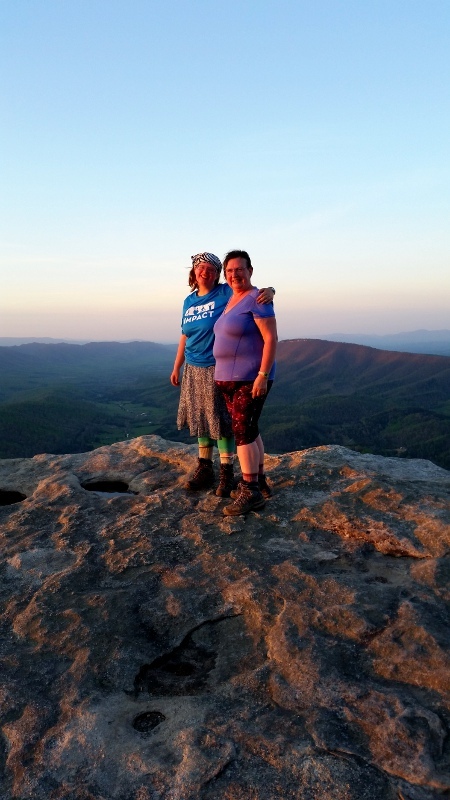 A person with brain cancer wanted a friend to take her on a first-ever backpacking expedition. A young man with Multiple Sclerosis needed intervention when he overheated. Parents are taking very young children on an attempted a thru-hike (walking almost 2200 miles from Georgia to Maine in one long trip). Are these “okay?” Or should the mythical “someone” intervene and prevent such risky behavior? And, if prohibition is such a good idea, then who decides which situations are okay and which are too dangerous? Whenever there is a close-call or a tragedy, fingers are pointed at the ignorant adventurer, at the family, at the doctors, at search and rescue personnel. Online discussions grow heated. It seems so clear to some readers that the person with mental illness or with physical disability should be protected (even from themselves) by not allowing them in the woods. Usually, I step away from contentious arguments. However, in a recent online discussion, I realized I can’t just run away from conflict and find peace in the woods for myself and my daughter. I must not just write posts about the adventures I am privileged to take. I must also build bridges for everyone to pursue their own passions. It would be a sad day if the only hikers on the Appalachian Trail were those who were young, perfectly fit folks carrying perfect gear. (Hmmm…that would eliminate both of us and most of the hikers we meet!) With proper precautions and an attitude of taking personal responsibility for one’s decisions, even those with disabilities can continue to enjoy outdoor adventures. I am passionate about backpacking. I am also an advocate. What about you?